"Whoa, you can smell the rats," Baltimore Mayor Catherine Pugh said during a walking tour of East Baltimore. 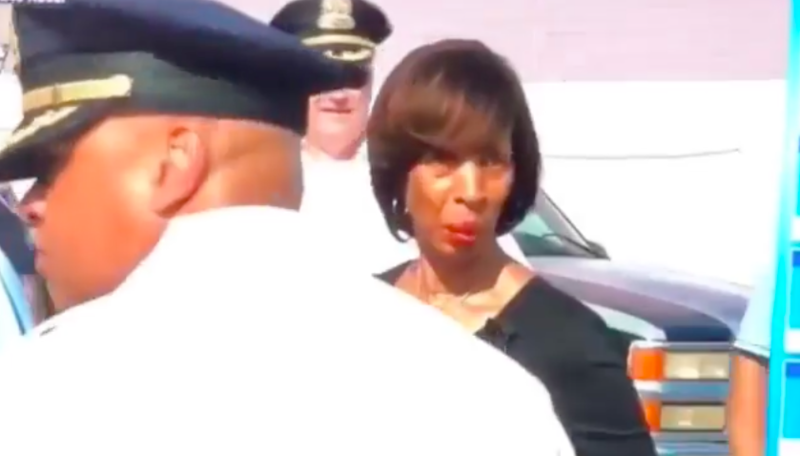 It was supposed to be a regular meet-and-greet event -- a chance for Baltimore Mayor Catherine Pugh to get out and walk amongst the people, tour an East Baltimore neighborhood, and survey her administration's progress in tackling the violent crime epidemic that has plagued the community for decades. Instead, news cameras caught the mayor, who was surveying abandoned houses, in a "hot mic" moment, as she reacted to the smell of dead rats in the streets and made an off-handed remark that perhaps it should all be taken down. The exact quote was: “Whoa, you can smell the rats ... Whew, Jesus ... Oh my God, you can smell the dead animals." Also, "What the hell? We should just take all this [expletive] down." The clip has since gone viral on social media. “There's no way she didn't know some parts of Baltimore looked like that," one woman commented. The mayor's office is using this viral video as an opportunity to highlight how neglect and a lack of investment can foster crime in these communities. This neighborhood in particular also serves as an illegal dumping ground where city residents come to dump their trash. Earlier this year, Pugh ordered the Baltimore Police Department to step up law enforcement efforts in this neighborhood and others to combat gang violence. Perhaps Pugh's recent walk through the neighborhood will inspire further city investment into the area. What do you think? Where should the mayor's office start? What do you think of the community's liveability? Tell us in the comments below! Maryland and D.C. were not accurately depicted in the new Jack Ryan series. See more about it here.